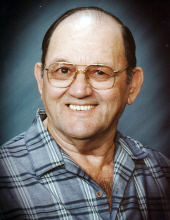 Doc Norwood, 84 of Orangefield died Monday, April 1st, 2019 at The Medical Center of Southeast Texas in Port Arthur. He was a native and lifelong resident of Orangefield. Doc attended St. Helen's Catholic Church and retired from U.S. Steel after 27 years as a welder. He enjoyed hunting, wood working, cooking and baking, but he loved to go around town to visit with friends. Visitation will begin at 6:00 pm Tuesday, April 2, 2019 at Memorial Funeral Home of Vidor. Funeral services will be held at 10:00 am Wednesday, April 3, 2019 at Memorial Funeral Home with burial to follow at Granger Cemetery in Orangefield. Doc was preceded in death by his wife Anna Norwood and step-daughter Arlene Spell. He is survived by his son Gary Norwood, step-daughters Cathy Blackman of Vidor, TX, Mary Constantine of Winnie, TX, Connie Peveto of Bridge City, TX, Chriss Semingson of Phoenix, AZ, step son Bill Callahan of Beaumont, TX, close friends Davin "Peanut" and Sheri Broussard, Fay Woods and Heather Woods, numerous grandchildren, great grandchildren and great great grandchildren. To send flowers or a remembrance gift to the family of Walter "Doc" Norwood, please visit our Tribute Store. "Email Address" would like to share the life celebration of Walter "Doc" Norwood. Click on the "link" to go to share a favorite memory or leave a condolence message for the family.